Barack Obama in his state visit to the UK in April 2016 to mark farewell to his two-term presidency of America said quite clearly that Britain’s membership of the EU magnified Britain’s place in the world. He also stated that should Britain decide to leave the EU and then try to draw trade deals with America, she would find herself always at the end of the queue. The message was quite blunt that America, as a trading nation, would always deal with big players like the EU, China, Japan, India and so forth first and then only the small nations like Britain would come, no matter what the deceitful delusional Brexiteers’ claim and assert that the ‘special relationship’ with America was profound. But the delusional morons advocating Britain’s exit from the EU would dismiss everything, rejecting with contempt that Barack Obama’s view carried no weight as he was the outgoing president. Little did they know that the whole of American political and bureaucratic establishments, past and present, had echoed Obama’s views. Twelve American past Secretaries of State had signed a document endorsing his views. But the Brexit advocates claimed that America would fall head over heels to come to favourable trade deals with Britain! Just a few months down the line, the incoming president declared clearly, “America first, America first” and imposed exorbitant tariff on steel imports, wherever they are manufactured! When the International Monetary Fund (IMF), the World Bank, the Organisation of Economic Cooperation and Development (OECD) and many other world economic bodies warned that Britain’s economic power and its stature in the world would be severely diminished if Britain left the EU, the Brexit advocates said they were all wrong! These economic organisations, according to Brexit people, had made many wrong predictions and they were wrong again. The Brexiteers without doing any economic analysis came to predict Britain’s economic future was very bright outside the EU! These delusional day-dreamers were nothing but block-headed xenophobic bunch. These Brexit leaders, mostly right-wing Tory fanatics, peddled mind-boggling lies and deceits – £350 million per week to the NHS from the saving of £19 billion per year membership fee; making trade deals are the “easiest things in the world history”; the Irish border issue is insignificant and “can be solved like London congestion charges”; stopping 80 million Turkish immigrants coming to Britain, “taking back control” from the EU etc. On 29th of March 2017 Theresa May, the new prime minister gave the Brexit notice to the European Commission and the withdrawal terms state that within 24 months the exit should be completed. The mantra of the prime minister was, “Brexit means Brexit” and she discarded the “single market” and “customs union” completely. These utterings made her the darling to the ultra-right-wing xenophobic Tory Brexiteers. Let us see what those Brexiteers had said before the EU referendum with the shrillest voices to discredit the pragmatic voices and what the reality is now. Those Brexiteers purposely ignored the benefits of the EU membership – regional regeneration fund coming to industrially depressed areas such as Liverpool, North Wales, North of England etc; educational grant to British students and British universities, advanced research grant, security cooperation, nuclear cooperation, European Research Council (ERC) funding and lots of other programmes to help Member States. Withdrawing membership will automatically negate all these benefits and so to say membership fee will be the total saving is a total bonkers. When the EU leaders, particularly the German Chancellor and French President, stated that Britain outside the EU would lose all the privileges and the advantages of being in the EU, Brexit leaders said they were wrong. The EU would give better deal to Britain outside the EU! Did the Brexit peddlers know better what France, Germany and other EU countries would do than their own leaders? Delusion and wishful thinking were at its dizzy heights with these morons. Prime minister’s “Brexit means Brexit” was nothing short of pandering to extreme right-wingers’ dogma. She is now saying that Brexit may be delayed due to legislative logjam and pragmatic reasons. Many compromises had to be made, particularly with regard to Irish ‘Good Friday Agreement’; otherwise the dark days of IRA and sectarian killing may return. The xenophobic imperialist Tory politicians thought that they could bring back the second era of British colonialism and ‘rule Britannia’ status if Britain is outside the EU. Boris Johnson, the arch delusionist, who became the foreign and commonwealth secretary at the back of his monumental falsehood went to India, Myanmar and other ex-colonies deluding that he would get the reception and imperial status of colonial foreign secretary, but came back utterly humiliated. Liam Fox, Brexit international trade secretary, who made the claim of making trade deals is the easiest thing in world history, could not make a single worthwhile trade deal in over two years! The deceitful Brexiteers have all fizzled out now, their promises of £350 million per week have all but thrown out, the 80 million Turks were total fantasy. But they are holding on to the new mantra, “people have spoken out overwhelmingly” – with 51.8% to leave as against 48.2% to remain. A 3.6% margin is hardly overwhelming, when all those lies and deceits had been taken into account. The fact was that the referendum process was hoisted on to the public by the internal squabbles of the Tory party. The previous Tory party leader had to agree to have a referendum under duress from the Eurosceptic Tory political agitators. When the referendum came, the vile instincts of the Eurosceptics burst out into open to stir up fear and prejudices of the ignoramus people. Lies, deception, xenophobia, bigotry, innuendos and all other vile instincts that run counter to the spirit of democracy had been played out. No matter how loudly Brexiters shout, “Brexit is the will of the people”, if the voters had been fed with misinformation, fear and prejudices, the outcome is bound to be anything but sensible. When over a million people ‘Google searched’ the word ‘EU’ a day after casting vote on the EU referendum, one can say that there was something grossly wrong. Democracy had been massacred in the referendum. Democracy cannot survive in ignorance, illiteracy or moral degeneracy. When honesty, decency, morality etc. are divorced, democracy takes leave too. As Franklin D. Roosevelt famously said, “Democracy cannot succeed unless those who express their choice are prepared to choose wisely. The real safeguard of democracy, therefore, is education”. David Olusoga has attempted to justify his honour. But surely black and Asian Britons should try to undo imperial delusions. A century ago the eminent Bengali writer Rabindranath Tagore returned his knighthood to the viceroy of India, which was awarded in 1915. The “time has come when badges of honour make our shame glaring in their incongruous context of humiliation”, Tagore wrote in outrage as scores of peaceful protesters were massacred in Jallianwala Bagh. He would now “stand, shorn of all special distinctions, by the side of my countrymen”. 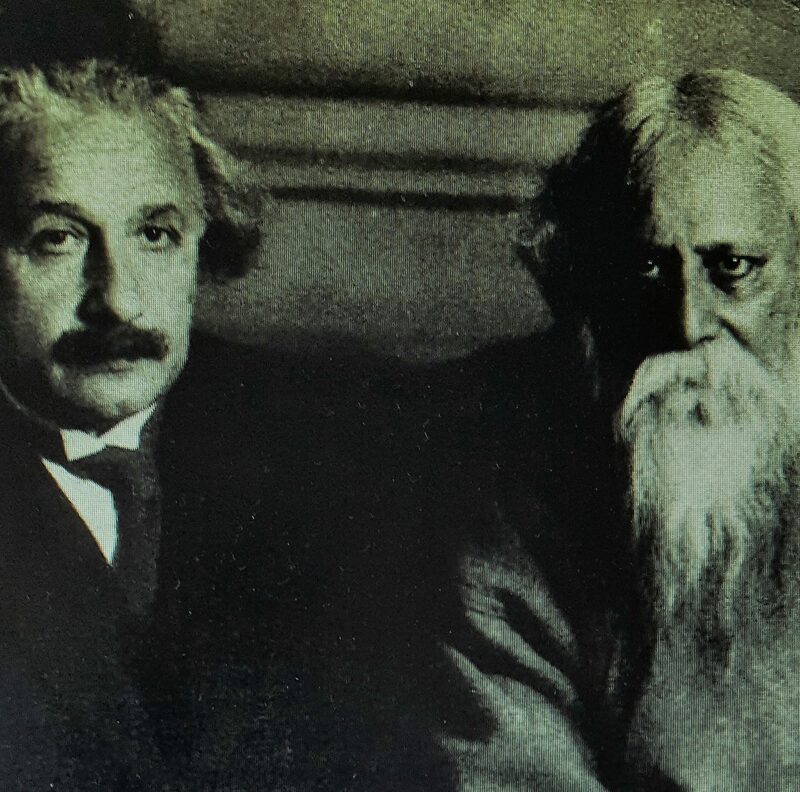 In accepting the knighthood, Tagore had been unfairly accused of being a colonial flunkey, partly because he had expressed justifiable reservations about aspects of Indian nationalism. The 1919 atrocities in Amritsar jolted the Nobel laureate into accepting that his Knight Commander of the British Empire (the CBE still in use today) could not be treated as unconnected to the bloodied realities of that empire’s operations. The belief that titles such as Officer, Dame Commander or Member of the Most Excellent Order of the British Empire can be treated as purely symbolic, untainted by the gross brutalities of the imperial project, appear more plausible today, with historical distance. Accepting his Order of the British Empire, the public historian David Olusoga, who has a Nigerian father, has insisted defensively that while “the empire was an extractive, exploitative, racist and violent institution”, the fact that “there isn’t an empire any more” changes things completely. The black scholar Paul Gilroy suggests that Britain’s refusal to accept the loss of empire has produced “deluded patterns of historical reflection and self‑understanding”. Surely it is the task of black and Asian Britons to undo, not pander to, these delusions. The most eloquent case for descendants of the enslaved, the indentured and the colonised to refuse honours that exalt the British empire was made by the poet Benjamin Zephaniah in this paper. He linked his own rejection of an OBE in 2003 not just to past atrocities or a “betrayal” of enslaved ancestors but to the very real afterlife of empire: racism, police brutality, privatisation, militarism, ongoing economic dispossession and the retention of the spoils of empire. One is either “profoundly anti-empire” or one accepts its many self-serving fictions along with the honour, including the notion that despite a few mishaps, it was a largely benevolent enterprise. Zephaniah’s choice was based on clear principles, from a long and often forgotten tradition of black and Asian resistance to the global harm inflicted by empire, and the understanding that imperial and domestic rule were maintained by paternalism, buying loyalties heading off dissenters at the pass and ensuring that criticism was toned down. In the 1930s, the fiercely anti-colonial black British newspaper International African Opinion identified “the judicious management of the black intelligentsia, giving them jobs, OBEs and even knighthoods” as a key tactic for diffusing confrontation. Bestowing knighthoods on African chiefs (indirect rule) and Indian princes elicited their assistance in controlling the colonised masses, though this was not always possible given widespread resistance. A select class of non-white leaders could be upheld as exemplars of a just system even as the large majority continued to face widespread discrimination and inequality. Olusoga suggests that, by acknowledging the “incredible achievements of black and Asian Britons”, OBEs can be seen as a defeat of racism. Apart from the ways in which tokenism usually enables hierarchical and exclusionary systems to continue business as usual, the more vital question is whether OBEs actually facilitate what Olusoga correctly describes as the “need to confront” not celebrate the history of empire. The role of an officer of the empire is hardly calculated to induce that much-needed confrontation. The British establishment, utterly reliant on fictions of imperial glory and benevolence, is not so naive as to facilitate its own undoing. Olusoga and others are fully entitled to their personal choices and private compromises. What is more questionable is the presentation of these personal decisions as politically sound choices made selflessly in the name of all black Britons. Does having a few black names with OBE after them really signify that the British establishment acknowledges the profound historical contributions of black and Asian people to this nation, not least through producing much of its wealth? Beyond exceptional individual achievement, non-white Britons have also collectively organised for rights, fought racism challenged the empire, lobbied for legislation, run for political office, led demonstrations, produced community newspapers, and engaged in radical political education. So no: the “only options on the table” are not “to accept or decline” a seat at it. The real task is to bring this country to an understanding of what empire was, did and continues to do – and to question how a genuinely democratic decolonisation can be achieved in future. We all have heard of and enjoyed the fictitious stories in films like the murder in the orient express, murder in the Nile, murder on the dancefloor and so on and so forth. But hardly anything can match the real-life gruesome murder of a journalist in the Saudi consulate in Istanbul in all its viciousness and barbarity. Even more striking is that this killing would be remembered by the world for the blatant and repeated lies by the Saudi government after perpetrating this gruesome murder. Jamal Khashoggi (JK), a Saudi national of Turkish heritage and an American green card holder, was a journalist contributing to a number of newspapers including the Washington Post. He had been a thorn on the side of the brash young crown prince, Mohammad bin Salman (MbS) and to the whole of the Saudi royal family for his political and religious views. It is not because he was propagating non-fundamentalist Islamic ideology, but because he upheld Muslim Brotherhood ideology and advocated moderation of the extremist Salafist/Wahhabi ideology, which is the cornerstone of the Saudi royal family’s existence. This ideological battle that pitted between Khashoggi and the Saudi royal family was going on for quite some time. The conundrum was that when MbS had been implementing, as the moderniser of Saudi Arabia, such things like women be allowed to be educated, women be allowed to drive etc., which Khashoggi had been advocating; battle royal emerged on other issues that led to his brutal death. On issues like Saudi’s blockade of Qatar, Saudi’s relentless killing of Yemenis, Saudi’s surreptitious support of extremist Islamic groups round the world etc., Khashoggi fell foul of the royal family. He was viewed egregiously by the royal family as the existential threat to Saudi Arabia. However, Jamal Khashoggi and his family had close connection with the Saudi royal family. His grandfather was the personal physician to King Abdulaziz Al-Saud, the founder of the Kingdom of Saudi Arabia. He was the nephew of the billionaire Saudi arms dealer, Adnan Khashoggi. It may also be mentioned that he was the first cousin of Dodi Fayed, who was dating Diana, Princess of Wales, when the two had died in a car crash in Paris. In some quarters it had been proclaimed that Khashoggi was an ‘enlightened’ journalist from Saudi Arabia who embraced western liberalism at heart. Nothing can be furthest from the truth. He was an ardent ‘Muslim Brotherhood (MB)’ supporter and preached political Islam and tried to garner support for the Muslims to unite to dominate the world. The Saudi royal family does not tolerate any dissent – gruesome torture, whipping, lashing, stoning to death, beheading etc are common practices in Saudi Arabia as well as in other middle eastern countries. Brutality, inhuman torture, murder etc in the name of God are peddled in Islam as virtuous things and promised to be rewarded in paradise. When the dissident Jamal Khashoggi left Saudi Arabia to live in London and then in America, he was effectively outside the reach of the Saudi royal family. But a God gifted opportunity arose when a few days before 2nd October, Jamal Khashoggi went to Saudi consulate to get his divorce papers. He was told to come back a few days later, on 2nd October, to collect them. Then Saudi consulate officials went on overdrive. Saudi royal family including of course the crown prince, MbS, had been informed and a plot had been hatched to get rid of him. When Khashoggi reported at the Saudi consulate just after 1 pm on 2nd October, he was invited to go the consul general’s office upstairs. Unsuspectingly he went to the upstairs office and sat in a chair. The murder squad were waiting in the next room and soon two of them came, grabbed him and took him to the next room. They made him lie down on a long table and started chopping off his fingers! A fully conscious man having his fingers chopped off would have been most excruciating and painful experience. The leader of the murderous team put on a head phone, as he quipped that he enjoys listening to music when he is doing such things. Hardly did they know that all those screams, all those flippant conversations even in the closed room in the consulate are being recorded. Probably even the video images may be in existence! But that is not all. After killing him, his body was dismembered, cut out into smaller pieces to be disposed off in small bags. A black van had pulled in to carry the bags and disappeared innocuously into the main street. In the meantime, a man wearing Khashoggi’s clothes (but not his shoes) and false Khashoggi beard had walked merrily out of the consulate pretending to be Khashoggi. That was recorded in the CCTV as evidence that Khashoggi had left the building! Saudi Arabia under the helm of MbS thought that they have pulled off a major coup – finished off the thorny man once and for all. But Erdogan, the Turkish president, who had long been at loggerheads with Saudi Arabia for a long time, had other ideas. 1. Saudi government to quell press speculation issued a statement just a day after JK’s arrival at the consulate that he had left the consulate and might have disappeared after that. But Turkish officials disputed that. 2. MbS said categorically on 5 October that JK is not in the consulate. 3. When on 6 Oct Turkish government said that JK was murdered inside the consulate, alarm bell was ringing for the Saudi government. The following day the Turkish government released a statement that 15-man Saudi hit squad had actually arrived in Istanbul in private planes at the early hours of 2nd Oct and left the country for Riyadh late in the same evening after completing the job. Two days later, Saudi Arabia admitted that JK died accidentally in the consulate after a ‘fist fight’ with officials. But Saudi government did not give details of who were involved in the fight or what had happened to JK’s dead body. 4. Turkish government was drip-feeding genuine information about how he died and released the names of those 15-man hit squad. Saudi Arabia was stunned at these revelations. How could Turkey know all these things when it was carried out in secrecy under closed doors in the consulate? Saudi Arabia then admitted that JK was actually killed by rogue operatives. Saudi Arabia claimed to have arrested 18 men suspected of murdering JK, after denying any knowledge of his death for over a week. 5. It is obvious that crown prince, MbS, had his finger prints all over this episode, but Saudi Arabia would not admit it. They are trying desperately to protect him and defuse the situation. 6. King Salman sent his trusted envoy, Khaled al Faisal, governor of Mecca, to Ankara on 10 Oct to placate Erdogan and carry out mega-dollar diplomacy with Turkey. But Erdogan would have none of it, as he was after even bigger bounty. 7. Turkey released details of how JK had been brutally tortured – cutting off his fingers while he was conscious, heading him and then dismembering his body. Saudi Arabia today (25 Oct) released a statement that the Turkish investigation had shown that the “suspects had committed their act with a premeditated intention”. Surely the suspects did not carry out this gruesome premeditated murder in the embassy on their own! All along this episode, Donald Trump had been trying to rescue Saudi Arabia by asserting that there should be an investigation and before that nothing can be said. When Saudi Arabia was giving all sorts totally bonkers stories like “fist fight with officials”, “rogue operatives” killing JK etc, Donald Trump said that this is the worst cover-up story in the world. Of course, Donald Trump is fully qualified to say so. When he covered up his presidential election tempering and colluding with America’s worst enemy, Russia, all the American intelligence (and foreign as well) operatives could not exactly put their fingers on it, he definitely is very well qualified to judge cover-up stories. Donald Trump is now eyeing mega bucks from Saudi Arabia. Previously America had to compete with other exporters (arms, military equipment etc) to Saudi Arabia to get contracts. Now many genuine exporters are moving away from Saudi Arabia, America will have a field day. Recep Erdogan is playing even more a sinister game – he can have the cake and eat it. Saudi King was literally begging to Erdogan to show mercy suppressing the murder investigation and mega deal was for him for the asking. Erdogan may enjoy the fruits now and keep the audio tape of the last moments of JK’s heart-rending scream, chattering of the murderers in this gruesome incident etc on hold until the time when he feels that Saudi Arabia is trying to wriggle out. Erdogan may even have the video shots of JK’s murder. How incredibly explosive that video would be and that could spell the end of Saud dynasty. Erdogan’s action is like a cat and mouse game – a cat does not kill a mouse outright, it plays vicious killing game and watches with relish the utter helplessness and image of death on mouse’s face. Turkish cat and Saudi mouse will usher in a new era in the Muslim world.